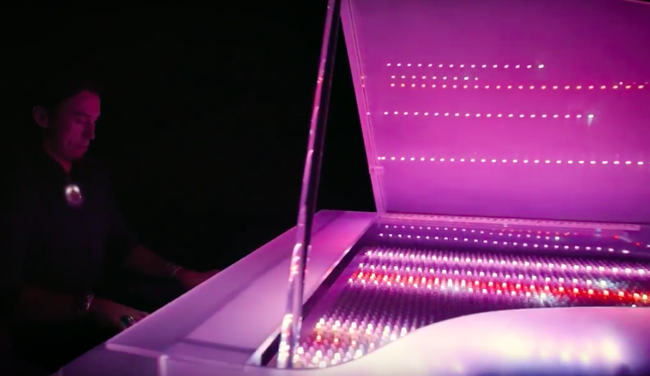 An American musician is hoping to dazzle music fans after creating the world’s first LED synesthesia grand piano. William Jerome’s creation not only sounds great but it looks incredible too. Listeners are treated to a full light show as each key illuminates different colours as the pianist taps out a tune. This means that the audience gets to experience what it’s like to have synesthesia, a unique condition in which one sensory or cognitive pathway in the brain is automatically connected to another. Some people with synthesia will see colours when they hear sounds. 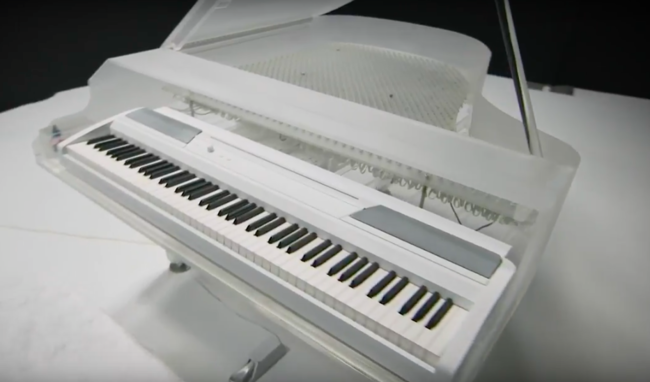 The world's first synesthesia piano! Jerome revealed that he was actually inspired to create the piano after watching The Wizard of Oz when he was eight-years-old. One scene featuring a horse that keeps changing colour stuck with him. 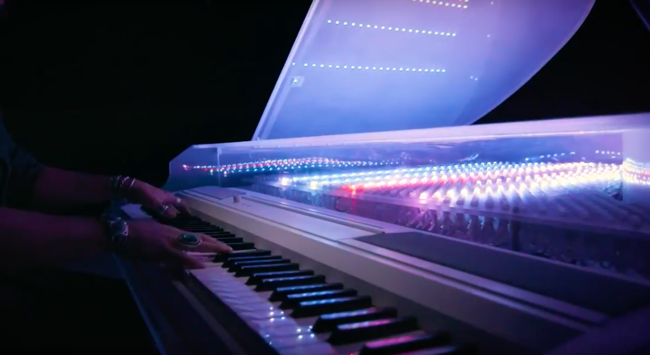 ‘Luminescent Grand is a piano which creates a visual representation of what’s being played on it. It uses a digital keyboard to send a MIDI signal to an arduino, which then gets sent to 1,760 LED pixels. All of which are inside a hand-crafted acrylic body,’ Jerome said. The piano, which took three months to build with collaborator Bill Cornelius, costs $15,000 (£11,380). Jerome, 27, who lives in El Cerrito, California, debuted his creation at Burning Man festival in 2013. Jerome has synesthesia but, rather than seeing colours, he can visualise textures and landscapes when he hears different sounds. ‘For instance, some sounds can give something I look at the impression that is a texture, or if my eyes are closed, I imagine something with that texture. ‘Violins feel like running my hands through hair. Some songs, mostly ones with many music elements and timbers, can create very vivid scenic images in my mind. Jerome plays his own compositions although he also improvises jazz and electronic music during his performances to ‘accentuate the lights and blend the colours in specific ways’. He’s planning to release an album based on the songs he’s written. Making other people’s imagination come alive? That’s just magical.